TORONTO, June 29, 2018 /CNW/ - Hiku Brands Company Ltd. (CSE: HIKU) ("Hiku" or the "Company") has completed a supply agreement with Manitoba Liquor and Lotteries (MBLL) to supply almost 2 million grams of cannabis to the province. This agreement puts in place another piece of Hiku's vertically integrated approach to the cannabis sector and will be part of the supply to Hiku's award winning storefront brand, Tokyo Smoke, which has been granted permission for up to 10 stores in Manitoba, with up to four in the capital of Winnipeg. "The execution of this agreement with MBLL is further confirmation of the value of our integrated approach to the adult-use cannabis market in Canada. From DOJA, our fully licensed state of the art production facilities in British Columbia, to our Tokyo Smoke storefronts, which won Brand of the Year at the 2017 Canadian Cannabis Awards, to engaging brands like our female focused Van der Pop, Hiku is poised to be a significant player in this emerging market with interests in the entire value chain from seed to consumer product and retail footprint" said Hiku's Chief Executive Officer, Alan Gertner. Hiku is actively working with various regulators, provincial and municipal governments in the Province of Manitoba to obtain the necessary permits for our proposed Tokyo Smoke stores and will ensure location specific permission prior to announcing our chosen locations. Hiku has filed applications for more than a dozen storefronts in Calgary and are at the top of the list to be considered in each of those locations following Calgary's first come, first serve approach to licensing. In addition to Calgary, Hiku has also filed applications in Edmonton for its random lottery process. As previously announced, Hiku has also entered into a letter of intent with Oceanic Releaf Inc. ("Oceanic"), a late stage applicant under the ACMPR in Newfoundland & Labrador, pursuant to which Oceanic and Hiku are working with the government on the approval for Oceanic of up to 5 additional stores in that province. 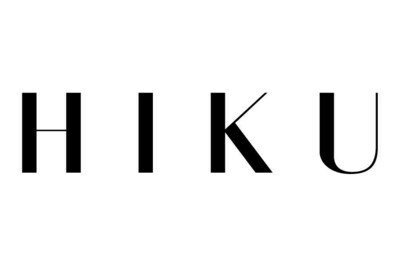 Hiku is focused on building a portfolio of engaging cannabis brands, unsurpassed retail experiences and handcrafted cannabis production. With a national retail footprint led by Tokyo Smoke, craft cannabis production through DOJA's ACMPR licensed grow, Van der Pop's female-focused educational platforms, and Maïtri, our Quebec based cannabis brand featuring high quality handmade accessories, Hiku houses an industry-leading portfolio that aims to set the bar for cannabis brands in Canada. Hiku's wholly-owned subsidiary, DOJA Cannabis Ltd., is federally licensed to cultivate and sell cannabis pursuant to the ACMPR, owning two production facilities in the heart of British Columbia's Okanagan Valley. Hiku's subsidiary, TS Brandco Holdings Inc. ("Tokyo Smoke"), has been conditionally awarded one of four master retail licenses in Manitoba. Hiku also operates a network of retail stores selling coffee, clothing and curated accessories, across British Columbia, Alberta and Ontario. Hiku has entered into a transformational transaction with WeedMD Inc. ("WeedMD") (TSX:V – WMD) to merge the two companies. The transaction combines a premium cannabis brand house and retail focused operator in Hiku, with the significant production capabilities and differentiated medical brand in WeedMD as a well as vertically integrated operations over the entire cannabis value chain with coast-to-coast and diversified cannabis cultivation platform with four facilities, and planned expansion capacity to have the ability to produce over 56,000 kg by mid-2019. The transaction is subject to a WeedMD shareholder vote scheduled for July 11, 2018 as well as applicable stock exchange approval. Forward-looking statements in this press release include, among others, the location of Hiku's stores in the Province of Manitoba, final government approval for such stores, the approval of Hiku's Alberta storefront applications, the timing of such applications being considered, the completion of the proposed transaction with Oceanic, applicable stock exchange approval of the transaction with Oceanic, the approval of Oceanic's Newfoundland & Labrador storefronts, the completion of the proposed transaction with WeedMD and applicable stock exchange approval thereof. By their nature, forward-looking statements are based on the opinions and estimates of management at the date the information is made, and is subject to a variety of risks and uncertainties and other factors that could cause actual events or results to differ materially from those projected in the forward-looking information. Hiku is not under any obligation, and expressly disclaims any intention or obligation, to update or revise any forward-looking information, whether as a result of new information, future events or otherwise, except as expressly required by applicable law. It is noted that Hiku's proposed transaction with Oceanic is subject to applicable stock exchange approval.